Original clips without my logo are available for commercial use on request. 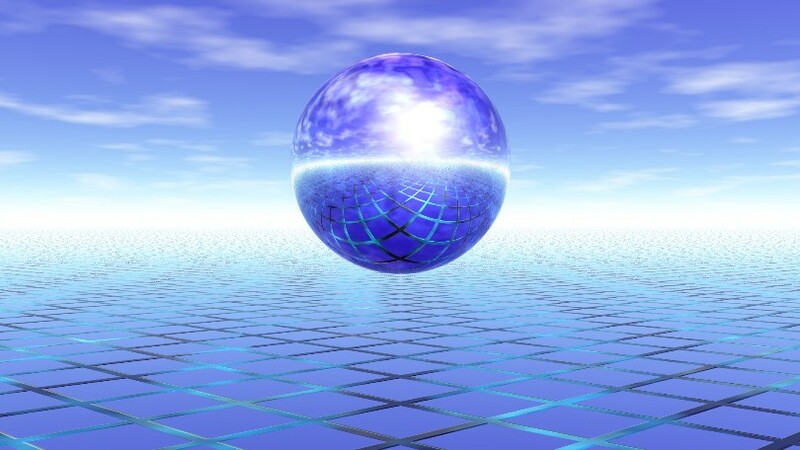 3D animation camera tracking of a glowing hovering / levitating sphere in a surreal science fiction forest with hi tec blue illuminated trees as home habitats for scifi life forms. Eyecatching 3D animation of mirroring fluid metal spheres surrounding an abstract spikes model hovering over a virtual seascape. This animation is seemless looping.